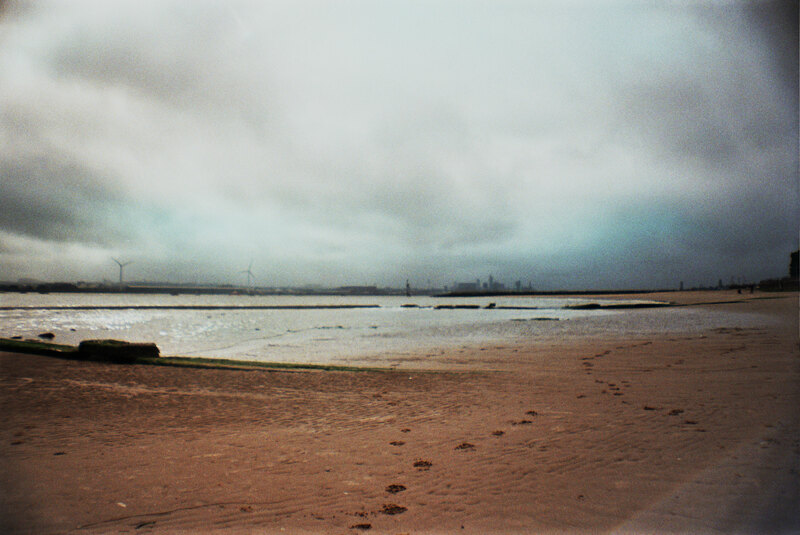 As a last hurrah of being on Merseyside before moving, I decided to revisit a place just down the road from where I’d lived on The Wirral; armed with a desire to dig up some of its surprising past glories. 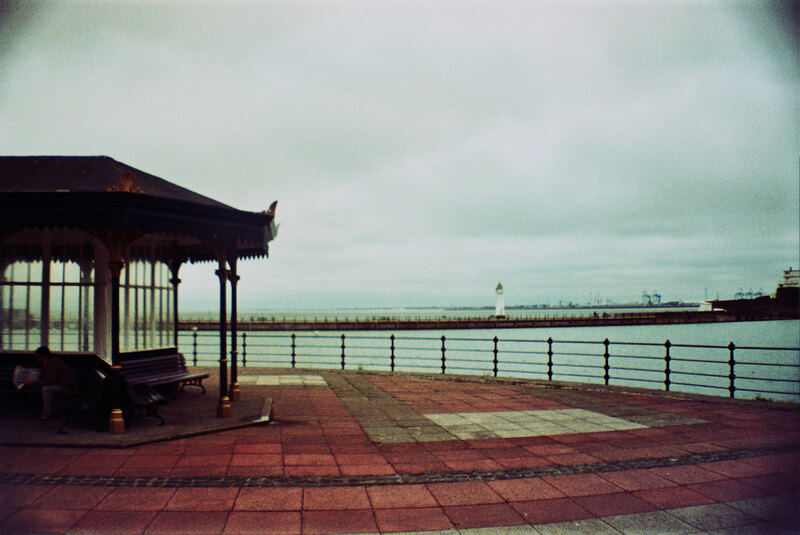 I’ve been going to the seaside resort of New Brighton for as long as I can remember, often as a place to sit off and meander about chiefly because there was so little to do on The Wirral. 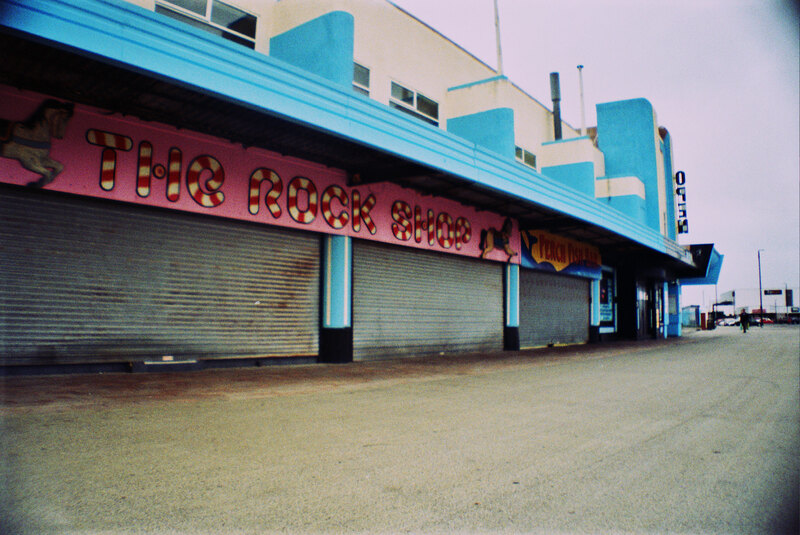 Recent developments have made a half-hearted attempt to counter the resort’s relative lack of anything to do but the area is still largely an empty space, full of interesting psychogeographical elements from its past as one of the most popular seaside resorts of the 20th century. 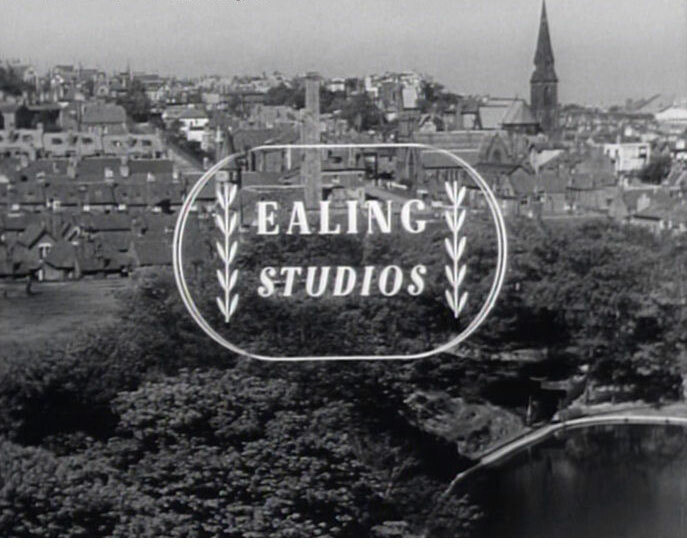 With several recent discoveries regarding its oddly prominent place in cultural history, I decided to walk it with two artworks in mind: Ealing Studios’ classic 1950 film, The Magnet, and Martin Parr’s surprisingly controversial photo series, The Last Resort (1983-1985). 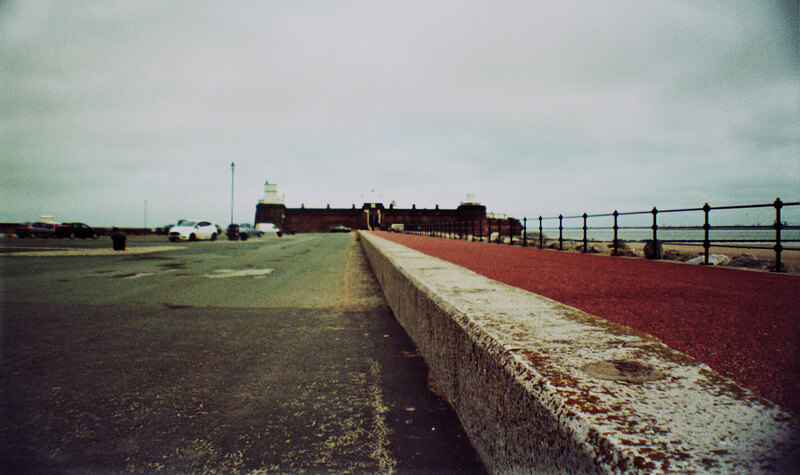 Both works show New Brighton at dramatically differing points in its history though, by comparison to my barren walk, both were more desirable than the empty zones of its windswept front of today. 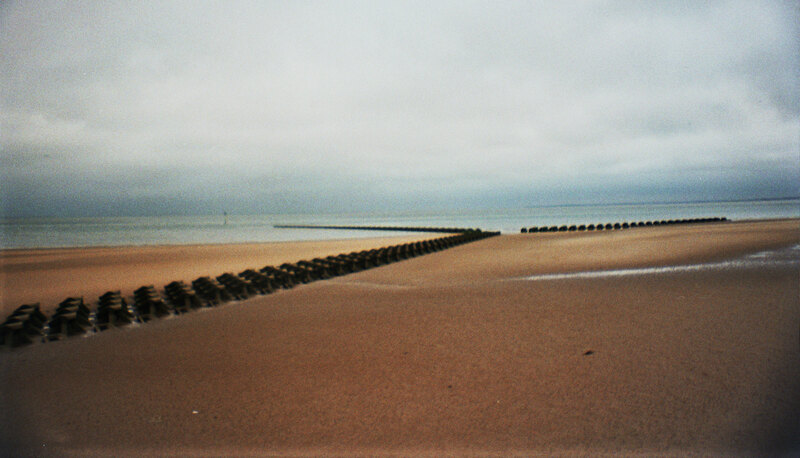 In effect, New Brighton can be seen as a straight line (though not literally geographically). Walking from one end to the other is relatively easy if a little boring at times. 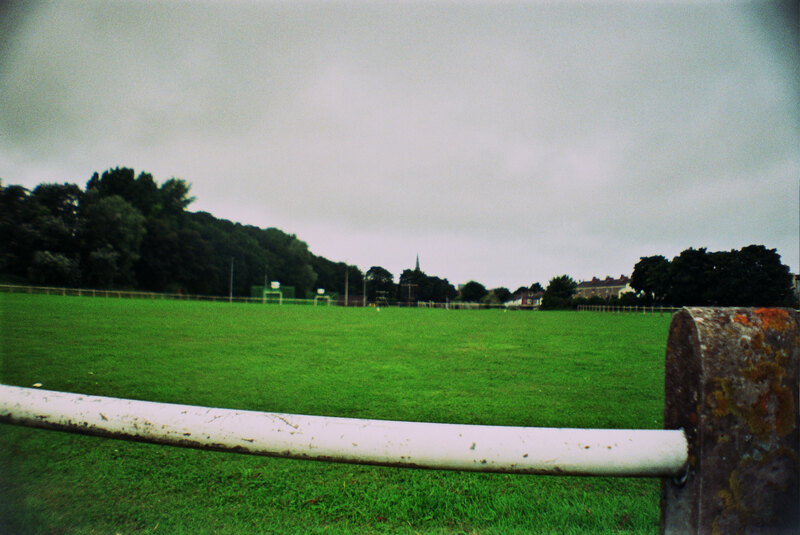 I started at the duller end towards where the restaurant, The Derby Pool, sits today. This is the spot where one of the resort’s many public swimming baths used to be, reflected only today by the name of a cheap eatery. 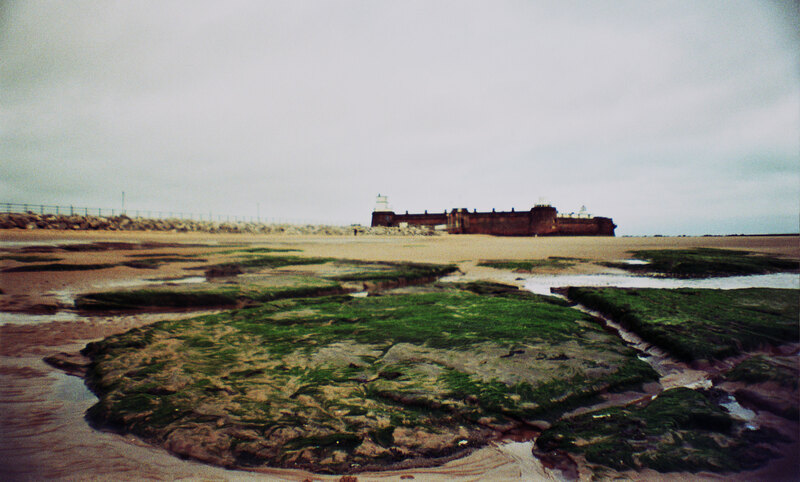 The rest of this part of the stretch is empty beach-land, boat yards and the beginning of the long concrete seawall that defines the coast’s imagery. I have a fond memory of The Derby Pool, sitting on one of its sticky wooden seats whilst the actor, Pete Postlethwaite, sat on the next table (in the words of my parents) “desperately trying to be noticed by someone”. I hadn’t seen any of his films at this point in my life, still at the age where I was more concerned with the restaurant’s ice cream factory. I deeply regret this occurrence happening when I was so young and unable to appreciate that the actor of some of my favourite films was sitting in a frankly rubbish restaurant eating underdone Hunter’s Chicken. Outside the pub, this stretch has been noticed by a number of filmmakers. 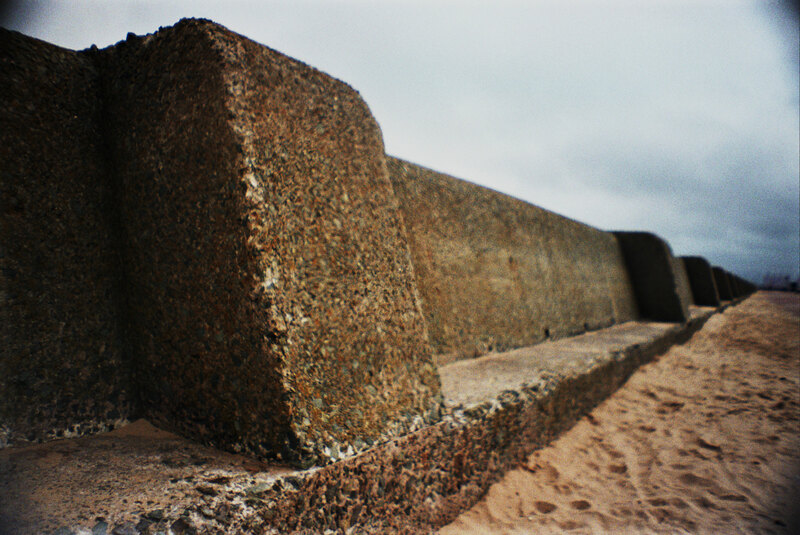 The final scene of Carine Alder’s Under The Skin (1997) is filmed by another sea defence on the beach. 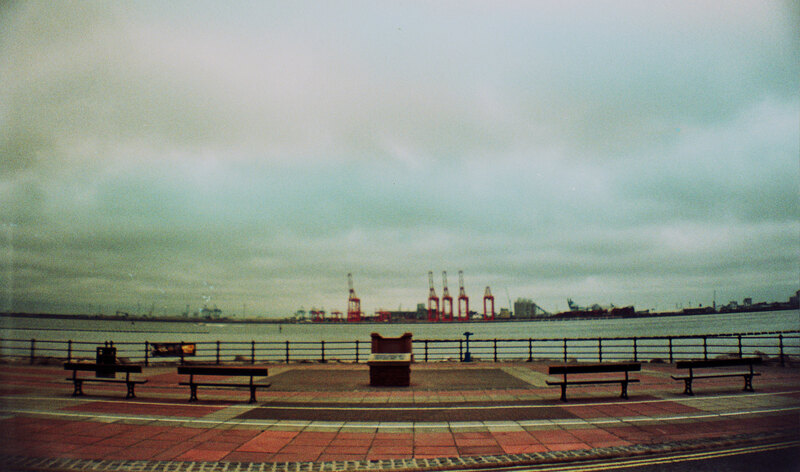 In more fragmented moments, this part of the road features in John Akomfrah’s The Nine Muses (2008) and Kieran Evans’ Kelly + Victor (2012) though the latter doesn’t really bother with acknowledging that we’re no longer in Liverpool (such is the curse of The Wirral in film). I remembered my main goal on the walk and decided to quicken my pace, covering the rough half mile between this part and the built-up parts to begin clocking my Magnet and Parr location checks. Before hitting the main resort, the walker is taunted by an abominable monument on a roundabout of an appallingly designed steel clown. This drew controversy in its day, costing a staggering amount of money whilst simultaneously being hideous. It laughs at those about to the enter the little left on show in the area and deserves to be vandalized in the most inventive of ways. 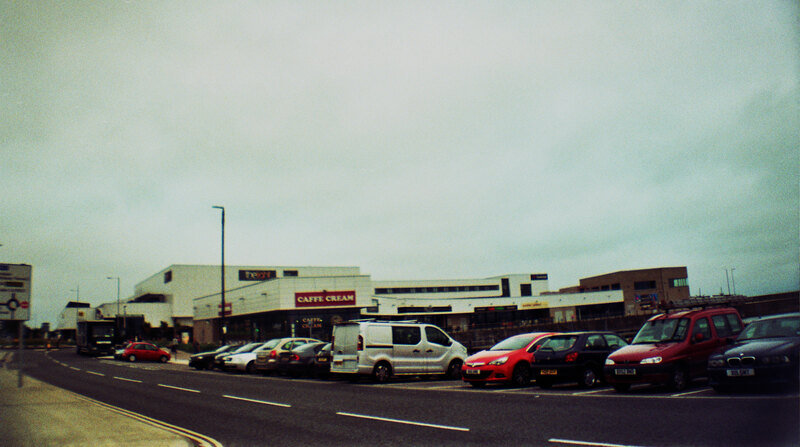 The marina area behind the clown has changed dramatically in the last five years too, being filled in and built on with a typical shopping complex (albeit with the blandest choice of businesses imaginable). 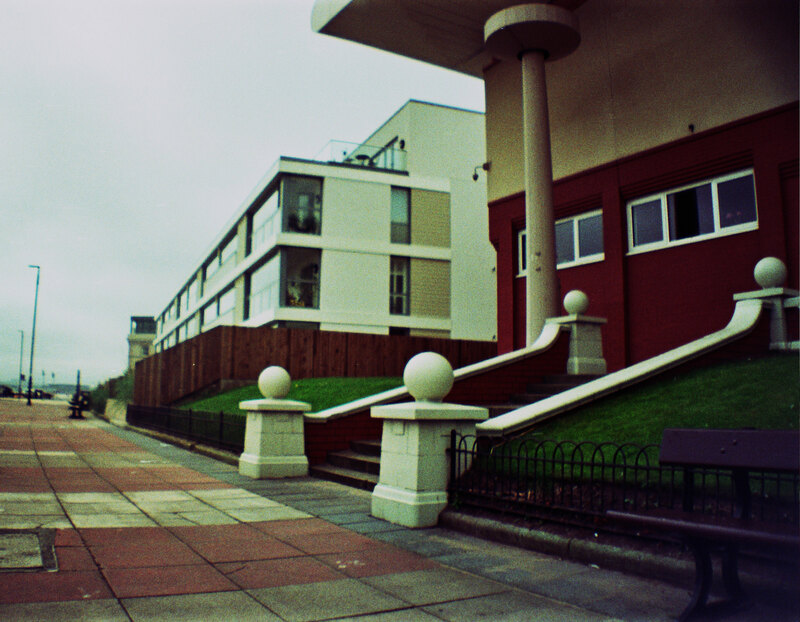 Alien buildings sprung up, pathways designed to invite walkers whilst making them paranoid about their purchase on the landscape; why walk on the beach when a Morrison’s beckons? 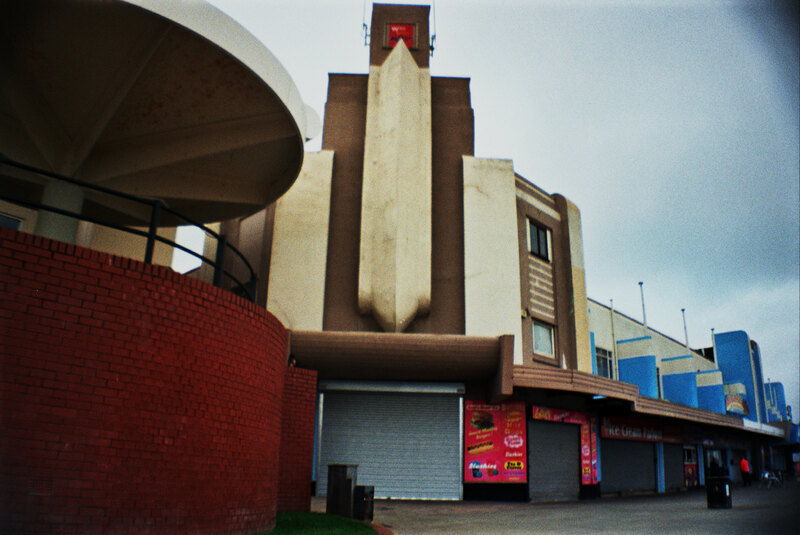 Up until a flood in 1990, what sat here was the last of the New Brighton pools, a perfectly stable art deco building that was used right up to when it was unnecessarily demolished after the flood. This is the pool where, in The Magnet, there are the various bathing contests and awarding for the money accidentally raised by the selling of the magnet. Watching the footage of the huge amount of people gathered in this place for something as simple as a swim and a socialise is as far removed from the space today as any socio-topographical contrasts that I’ve ever seen. It’s a dead-space now, even the sort of Super-Cannes actions of cathartic releases of violence seem inconceivable; it’s even too boring for that. This is in spite of various worried wanderings here as a teenager down various nearby streets coming to mind, worried butterflies rising as groups of lads in hoods blocked the streets deliberately – “Got 20p lad?”. There was even a set of make-shift jumps for bikes on the land before this was built, a far more honest reaction to the space at the very least. 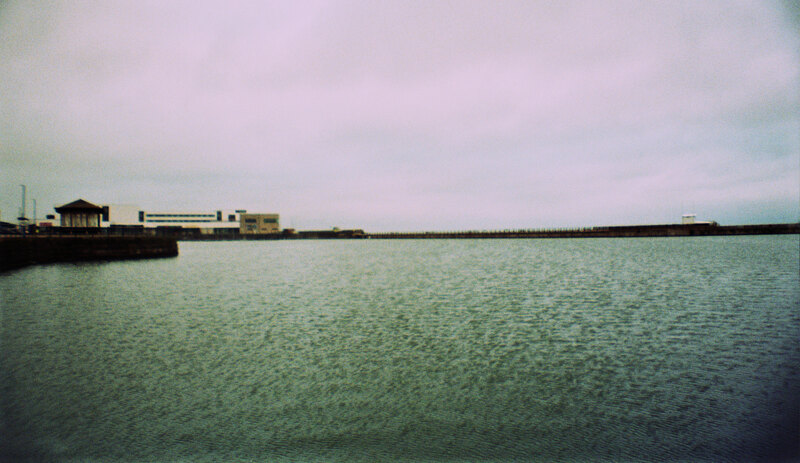 Walking further eventually reveals the main section of the interest: the surviving marina lake and the arcades. Both feature in The Magnet and The Last Resort though with differing effects. 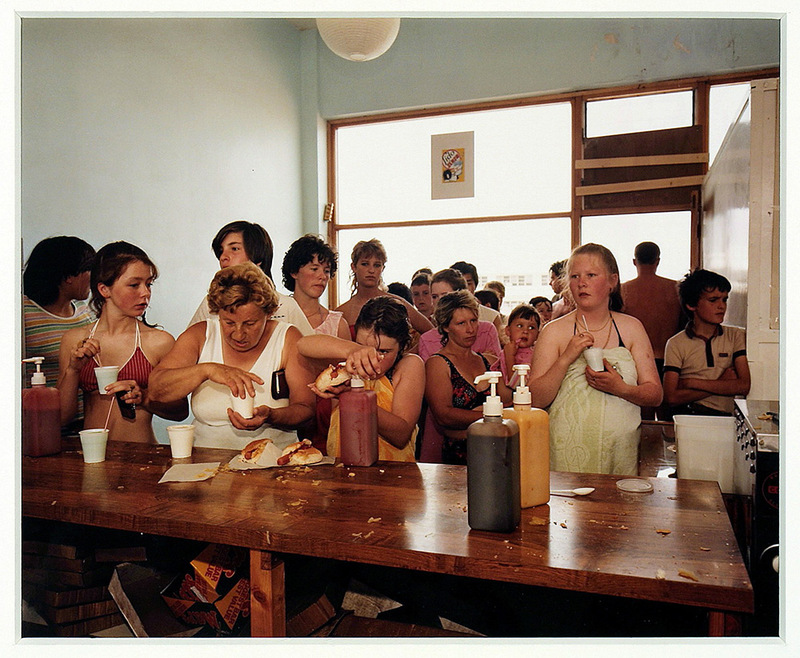 In Parr’s work, he captures the salty, messy pleasures of the marina in the full height of a busy 1980s summer. Though the walk was at the beginning of August, this was the total opposite; a grey, overcast day and the resort virtually empty of people. 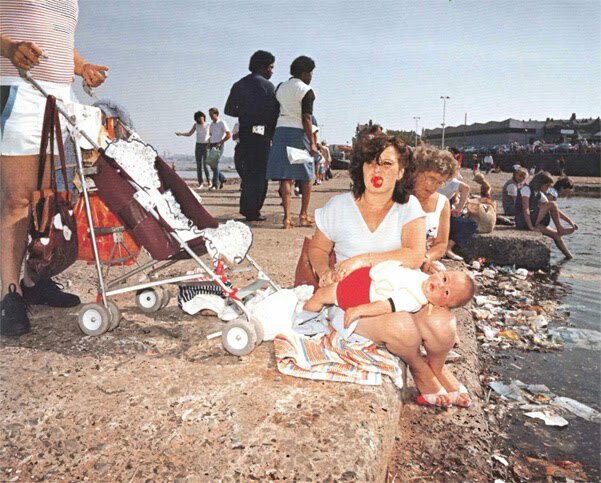 Some of the controversy surrounding Parr’s photos was that the people viewing them (and to an extent, the photographer) were far removed from the reality it portrayed and as such were shocked to see working class people making the most of a run-down space. Only a removed viewer could take offence; these images are exactly how it was even when I was growing up a decade later. 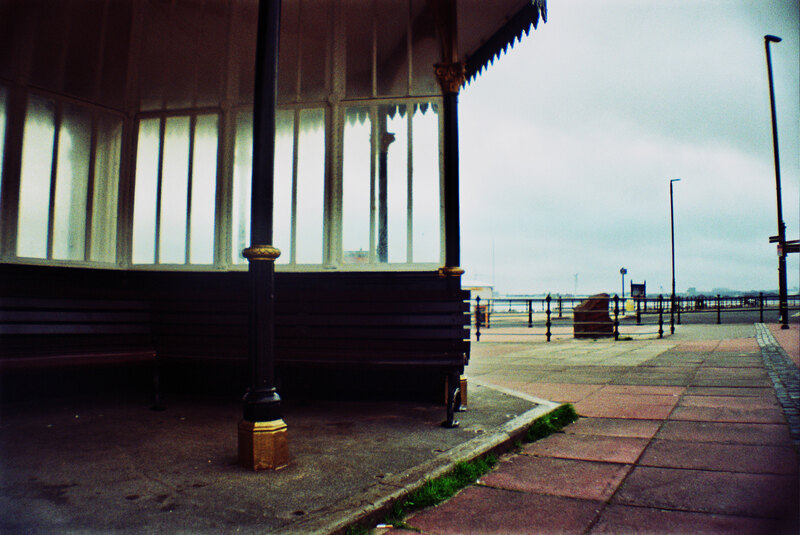 I remember crabbing on the boardwalk where many of Parr’s photos are set, people sunbathing on the bare concrete, overflowing bins et al. This was the reality of both the Thatcher years and the John Major-purgatory but it wasn’t a bad thing captured in the photos. Working class people were getting on with things, making the most of tough times by enjoying the weather. It captures a subtle rebellion. On saying this, the marina pool was a no-go for swimming and really still is. 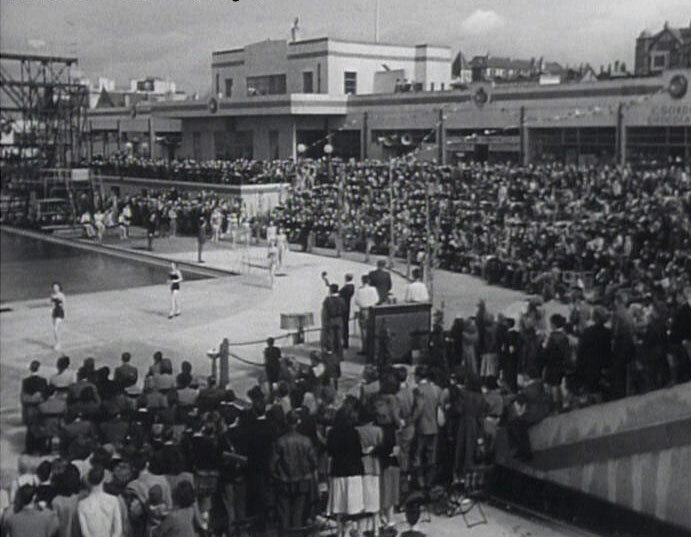 Parr’s pictures caught several moments of locals taking dips but it was ill-advised; the pool had its first proper drainage clean when the other half of it was being filled in for the shopping centre this decade. I have strange memories of taking a canoeing course there for a friend’s birthday, being made to “kiss the end of the canoe” as a typical challenge and then being violently ill for several days afterwards. 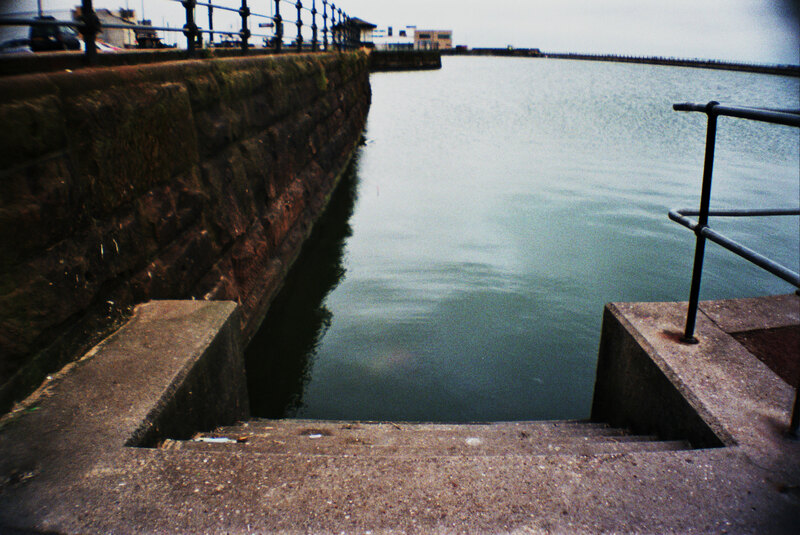 The marina was of course empty on the day of my walk aside from the gulls. 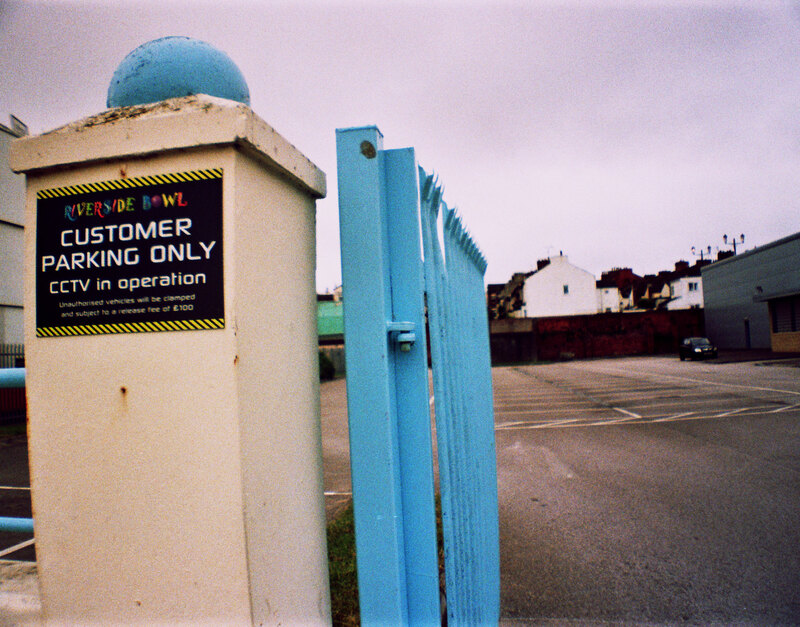 I’d rather have the reality of Parr’s pictures – a vibrant and character-filled working class using a local space – to the reality of the tidied vision of today: the working class sold off to the cheap ideal of the “Marino Lounge”, the Starbucks and the Morrison’s. I was quickly bored of looking back at this so crossed the road to the other side and to the arcades. A flood of memories and captures of these arcades came back. 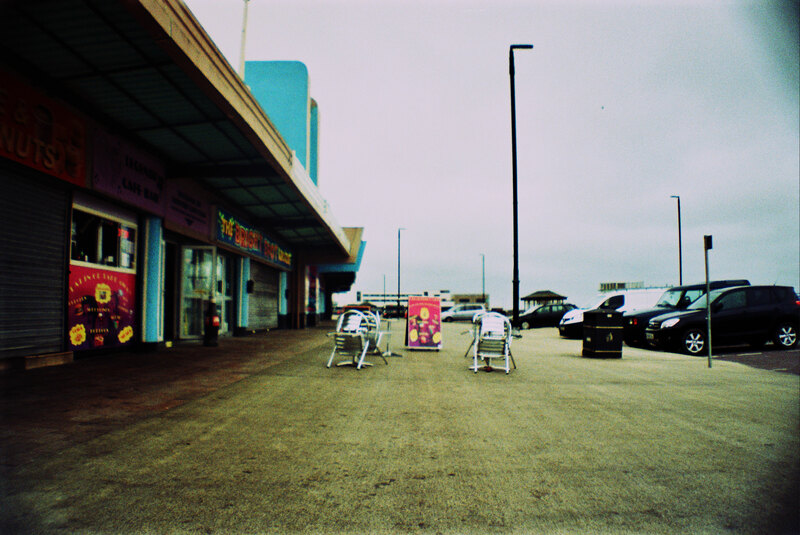 In Parr’s work, they are the place of the rammed fish and chip shops. In The Magnet, a young James Fox wanders into these by accident to avoid a copper. 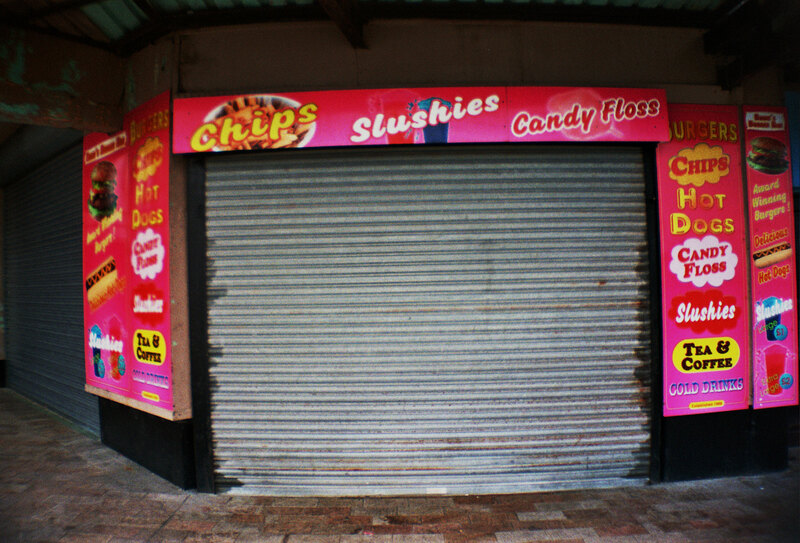 The arcades were closed as it wasn’t quite the right time to be open. 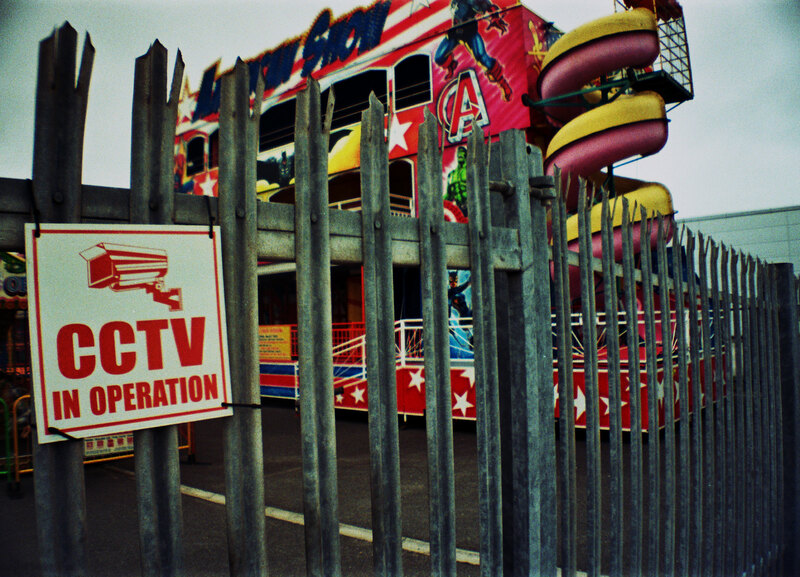 In the 1990s, there used to be a death-trap play area in there called Adventure Land. Someone was even killed on one of its vertical slides if urban folklore is to be believed. Comparing the vibrancy of it as portrayed in The Magnet to now is painful; how can 1950 be more alert and alive than 2016? It wasn’t an Ealing conjuring trick (in spite of actually filming parts of the film in west London streets too), the area has been left to socially decay, shutters down, doors closed. The only shop open was the “Legends” coffee shop, one of those strangely ubiquitous occurrences in seaside resorts where old Hollywood is bastardized and twisted into enjoyably horrific guises. Laurel and Hardy, Marilyn Monroe and Elvis, all tarnished by salty air and even saltier chips. 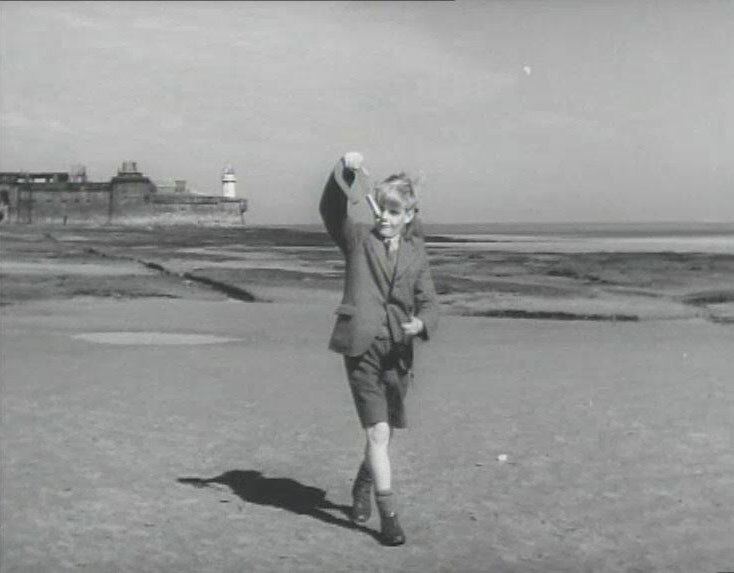 Back on the other side of the road lies Fort Perch Rock, a prominent visual in The Magnet. It sits lazily in the background as Fox cons a younger boy out of his toy magnet. 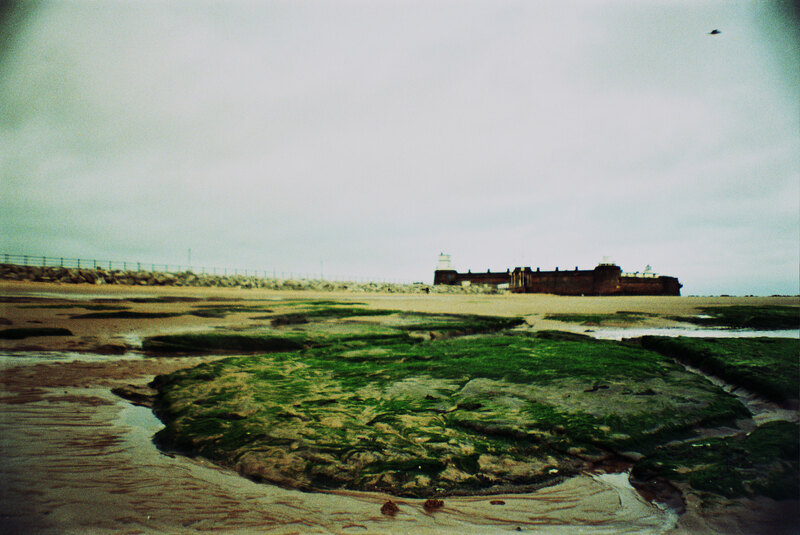 Some of the best shots that Charles Frend captured for the film are on these sea-weed covered rocks; an aspect that even our own narrow-minded local council would struggle to “redevelop”. Back up from the beach, I noticed two seat areas opposite the arcade, one of which is undoubtedly the same one as in Parr’s most effective photo of the area. 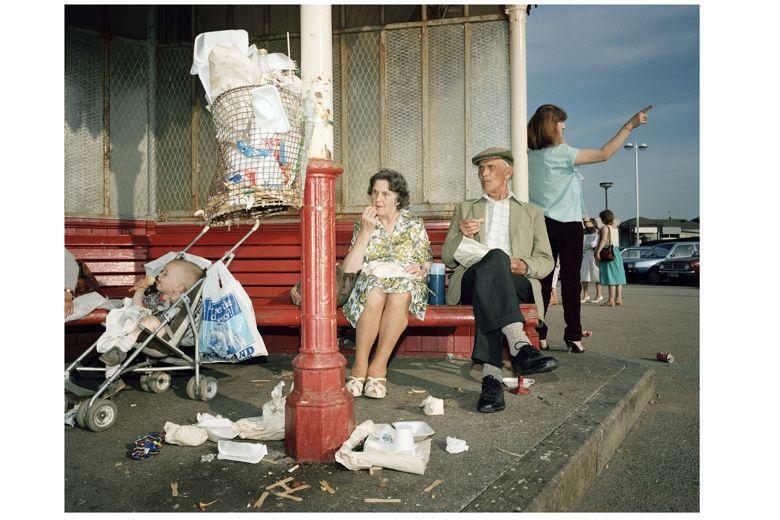 The photo shows two pensioners eating chips while surrounded by rubbish and kids; their blank faces hinting of the contrast between the New Brighton of old and the Thatcherite decay that was metastasising itself onto the town when the photo was taken. Today it was empty, a barren space devoid of any particular life. 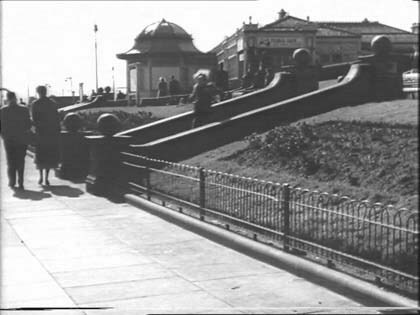 Opposite this, apart from the most famous entrance to the arcades (shuttered again) is the Floral Pavilion where some great shots from The Magnet occur. I remember the steps in the film still being there up until very recently, since built on for a glass block of flats. The new Floral Pavilion has, however, incorporated the same design though they are definitely not the original floral garden pathways; the cheapness of the bricks almost screams in comparison with their mild redness hinting at late 1990s garden centres. 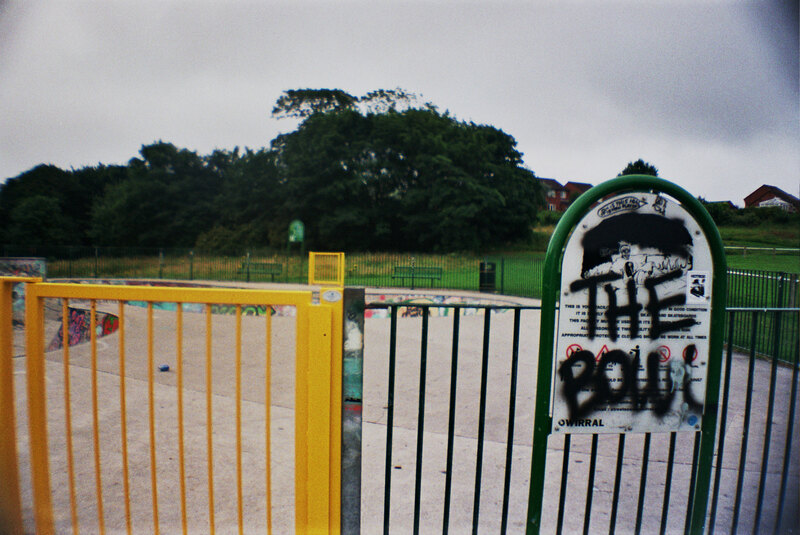 My last stop was to see the “tower ball room” or at least where it had stood at the very edge of Vale Park. Some of the shots that open The Magnet are clearly taken from its high view points, back over the town and towards St. James Church. Now it is just a hill, covered in rubbish with a single skate bowl at the top. The closest I could get to recreating the shot was to just catch the spire of the church (which the Ealing crew actually took over during the shoot). I remember the stories my grandparents would tell me about going to this ballroom. My granddad sang here, losing out to Gerry and the Pacemakers in a talent competition. Look up any archive photos and the place feels alive, vibrant, you can almost hear the music playing; a hauntology not unlike The Shining. 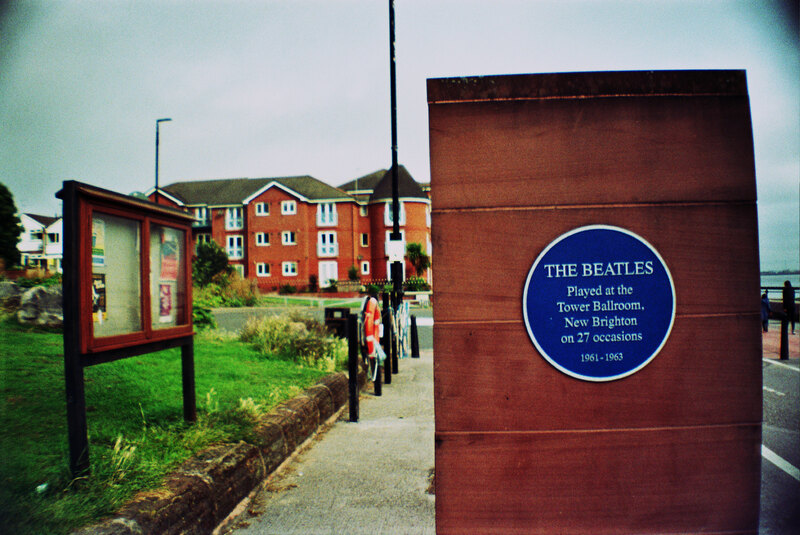 To rub salt in the wound, there’s now a blue plaque on a plinth to commemorate the “27 occasions” when The Beatles played the ballroom. Only in the north west could a building be deemed both suitable to be demolished (which it was after a fire in 1969, a fate that renders any building on Merseyside handily irreparable) and worthy of a commemorative plaque celebrating its historical importance. Frustrated, I made my way back down to the beach. Looking back at the city over the water, I began to try and surmise this strange old place. 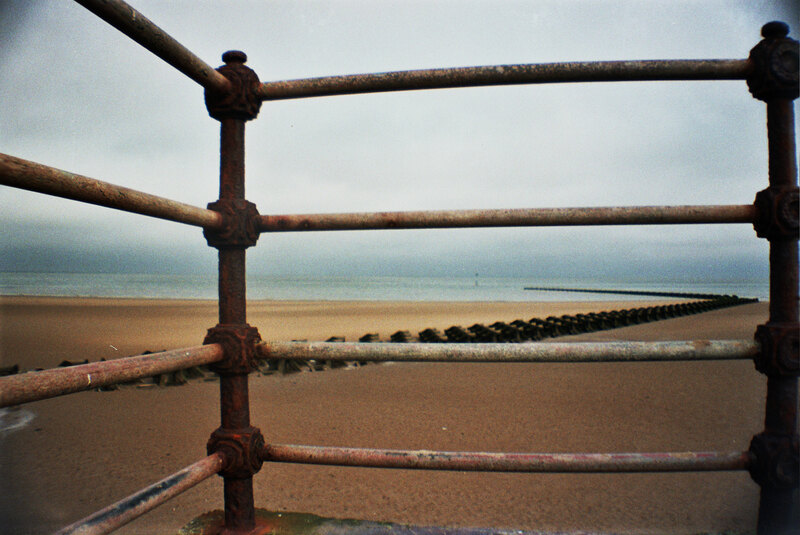 Mixed memories of drunken idiocy, bored-to-tears wanderings, failed barbeques in the dips, friendships long since disintegrated into the sand and river. The town almost feels like it’s struggling to understand what happened, like it was mugged and is still trying to hopelessly find its wallet after a smack to the head has left it dazed. In documenting the area, both Frend and Parr provided a public service; a documentation of evidence to show just how far we can fall when kicked. 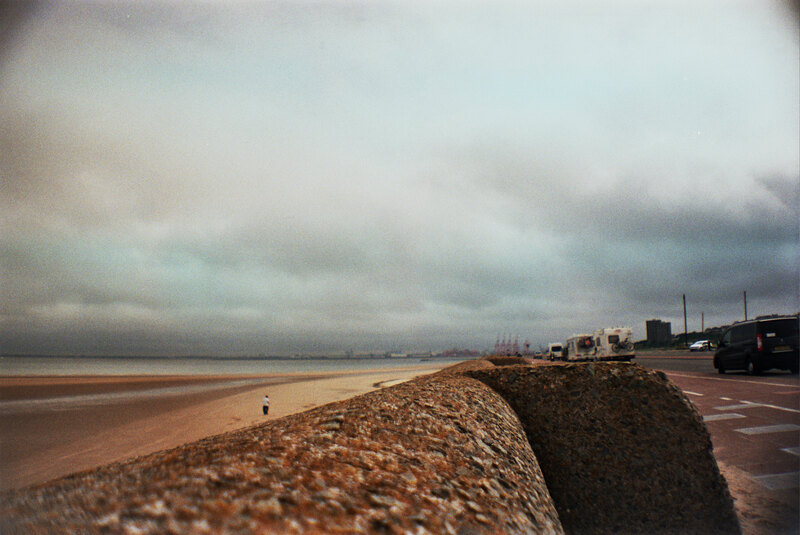 New Brighton will always be special to me as its topography has ingrained itself upon my own character to a startling degree. 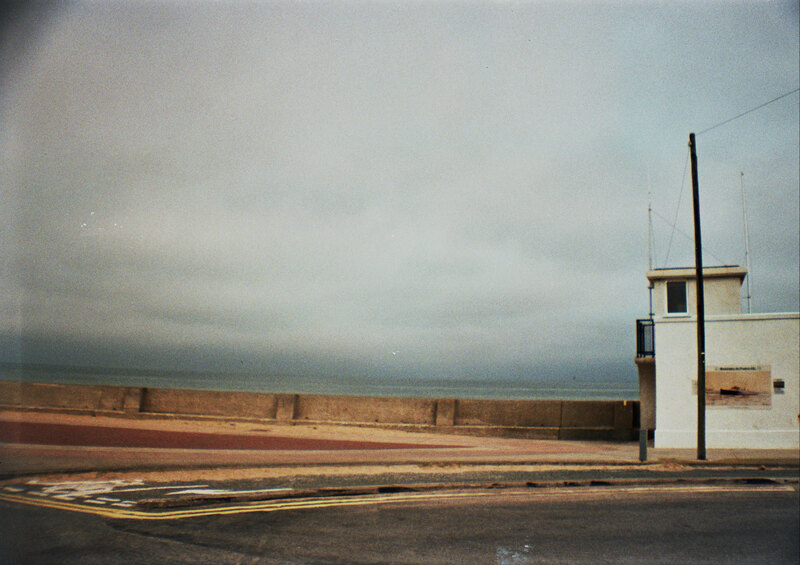 But walking its beaches and streets is undoubtedly a wander through a mausoleum of public as well as private losses. 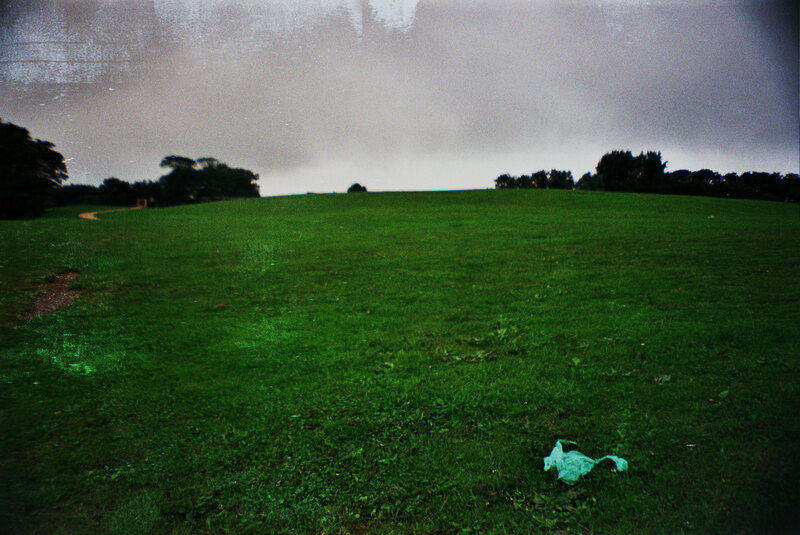 The sky was deathly grey and it was time to move on.